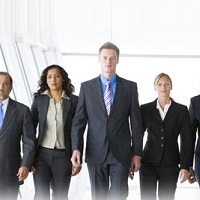 Our recruitment services include the hiring of potential and devoted office staff to many reputed organizations, be it big or medium. We adopt a unique methodology for culling out the most suitable from the bunch of candidates. Our unique databank of resumes is a feature that has made us a reliable source for staff recruitment all across the globe. We have recruited office staff for many industries such as including engineering, petrochemical, health care, IT, hospitality, real estate, banking and finance, electrical engineering, civil construction, outsourcing industries, to name a few. We follow a unique methodology in selecting the best candidates for each job profile. Close encounter with the clients to determine their exact requisites for the job profile. Browsing through our all-embracing database of candidates for the selection of the right match. Placing advertisements on the leading newspapers and job portals. Screening the candidates on the basis of skills, behaviour and on other parameters. Proper medical examination of the candidates at authorized centres. Conducting orientation programmes for making the candidates aware of the destination countriesâ�� culture and working conditions. Along with this, we take special care of the legal proceedings involved in the recruitment procedure.